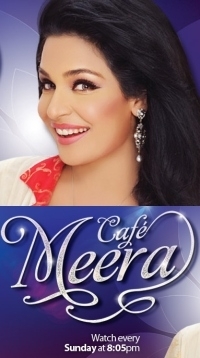 Updated & latest information about Cafe Meera, a Samaa Tv Urdu Game show, Competition, Reality that first premiered on August, 19, 2012 with latest news, updates and info. There are 0 forum threads discussing the show with 0 videos and episodes uploaded by fans and 0 pictures in the photo gallery and 100s of videos from the web. Tv.com.pk is your premier source of tv shows and serials in Pakistan for all Cafe Meera episodes, videos, news, photos and discussion online. Share your views and feedback on the comment's page or post in Cafe Meera forum for discussion.